Whether it’s Nigel’s reporting, Andrew’s perfect reviews or Mark Hughes’s deep insight, there is much to choose from in Motor Sport. But always near the top was Letters; the experiences, reminiscences and general enthusiasm of racers and fans make our sport stand apart. It is sad, then, that Letters has become littered with pessimism. I just cannot agree with those who denigrate the ‘new’ F1. It’s surely a delight to see the advent of unpredictable, challenging cars and the best racers using all their skill to tame the new breed. The noise? Irrelevant. To hear of people switching off and walking away in protest at the on-track display is to me nonsensical. We have a new dawn on our hands. Skill, personality and sportsmanship will always matter more than noise to this observer. And it saddens me to then hear such negativity seep into the World Endurance Championship. With Porsche back, and original rule interpretations, it’s a time to savour. We’re in danger of losing the chance of a bright new era across all categories. Yes, there are problems but these are far more financial and commercial than sporting. Yes, we’d love to see beauty on the tracks, but design has evolved. Look at the average road car today compared to those of 20 years ago – too big and wide with no finesse or style, but very clever. That’s the current design era. Thank goodness we have the skill, tenacity and guts of the drivers to make up for hygiene factors like noise. The writer wins this Pequignet Gents Moorea Ranelagh model in stainless steel with an automatic movement, anthracite dial with date, worth £835. I met Jack Brabham briefly, after he retired, in the garage area at Riverside International Raceway in 1976. I was quite awestruck and mustered only enough courage to approach with a smile and a welcome as we shook hands. I saw him race only once, at the 1970 Italian Grand Prix. 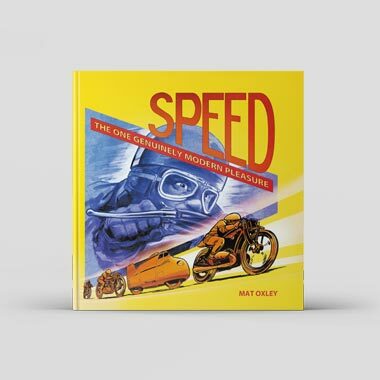 He embodied a fierce competitive spirit that garnered him three world championships and a top-level race team, which has now sadly disappeared from our sport. Although he would sometimes put a wheel into grass or gravel when he thought someone was too close behind, Brabham otherwise drove with consummate sportsmanship, unlike some today who choose to emulate the ruthlessness of Senna and Schumacher. Sir Jack Brabham brought great honour both to himself and to the sport. Sir Jack Brabham’s family, the racing world and Australia recently lost a true star, a gentleman and an amazing car designer, builder and driver. I only ever had one brief chat with Sir Jack – and that day was a sad event for me. I was fortunate to be a guest in the Paddock Club at the 2000 US GP at Indianapolis. Sir Jack was standing outside the Paddock Club, which surprised me. I assumed a man of his stature would be able to go wherever he pleased at any F1 event. I went back into the Paddock Club, hoping to find someone with authority who would welcome Jack into the enclosure. I was not successful, a sad day for me. I was inside and Jack was outside on the edge of a parking lot. Closing in on 50 years old, I have seen a range of racing over the years. What I have come to realise is that F1 and sports cars have really done something smart in adopting hybrid technology. The automobile has been virtually the same since 1886, but the car, as most of us have known it, is gone and will never come back. Reading about the 28½-litre Fiat and new LaFerrari is proof that the car world has changed forever. This is a ground-breaking time and we get to be part of it. My children and grandchildren will have a completely different relationship with cars than my father and grandfather. We all need to reflect on what we are watching and hearing. Yes, we can do without the DRS and degrading tyres, that is artificial. The sound, batteries, and fuel flow controls are the future. What I am not clear about is what club racing will be like for my grandchildren. Will they be installing a rollcage into a vintage Prius or will racing take place in a virtual world? Do I miss the sound of a flat-head Ford and Ferrari V12? Yes. Do I miss setting points, valve lash and changing spark plugs every few weekends? Sometimes. We need to keep moving ahead and F1 really is showing us the way to the future. I will try not to go kicking and screaming. After watching highlights of the recent Silverstone WEC race, I was left with mixed feelings. The initial racing was terrific, but it soon petered out into the anticipated procession. The race is just too damn long. “Ah, but you don’t understand endurance racing,” I hear you say. But did a paltry crowd of 35 people, watching in the rain, represent those who do understand endurance racing, while the 50,000 who stayed at home symbolised those who don’t? However good the opening laps might be – and however exciting the cars are to watch – the vast majority of people do not want to go through the ‘endurance’ of standing in the rain for six hours while the cars drone around. Keep the Le Mans and Daytona 24-hour races, but please convert the others into split sprints of 50 laps per driver. No aggregate results, but a clear victor in heats one and two, each result scoring equally with some bonus points available. This provides two races for your money and close racing. I would go and see that, and stand in the rain. In using the phrase “least polluted of all automotive brands”, Andrew Frankel has obviously forgotten Maserati’s unfortunate Biturbo era. Sadly, it now looks like joining Aston Martin as a marque where the only person who buys a new one is someone who cannot afford an old one. Le Mans was exciting. This had nothing to do with the noise – you barely heard any from the track on Eurosport’s otherwise excellent coverage – but everything to do with how artificial F1 has become. It seemed that every time a DRS-assisted pass happened, a little piece of my love for Grand Prix racing died. I really thought I might have got used to this awful system by now, but the longer it’s used, the more intrusive it seems to become. And then there are the stupid mandated pit stops to change to the alternative tyre compound and the ridiculous, almost one-make regulations that mean aerodynamics are usually the only real difference between the cars. And that’s before you get started on finance and politics. Where Le Mans and the WEC have really succeeded is in developing a set of rules that puts engineering before aerodynamics. The result is real racing and relevance to manufacturers. F1 needs to take a long hard look at itself, rethink the rules and get its priorities right. It could do worse than ask the Automobile Club de l’Ouest for advice. Otherwise, it will continue the slow decline started in the Mosley era. The sport of Formula 1 has known several ‘bad losers’ over the years and nobody likes one of those. Following the current notoriously bad loser’s very public general demeanour and comments, both after qualifying and the race at Monaco, perhaps he should be reprimanded for bringing the sport into disrepute. Sadly, however, it is no longer a sport so he won’t be. We would all like to win and succeed at everything we do, but on occasions we have to take defeat graciously, accept the situation and put childish pettiness behind us. If Lewis Hamilton continues on his present course, he will make himself look very foolish indeed. How refreshing it is to see Daniel Ricciardo’s smile and pleasant demeanour – even when adversity strikes. Formula 1 is not lacking sparks, loud noises or scoring gimmicks, but the connection to fans through driving. We used to know and understand what the drivers were doing, because it was just an extreme version of something we did every day. As wings, aerodynamics and ultra-sophisticated systems have been added, along with unrelated challenges such as planned tyre degradation, the race car and the task bear no resemblance to our own driving experience. It’s nice that someone can learn how to use a contemporary F1 steering wheel, but what’s that got to do with racing? We could pretend to be Jackie Stewart. I wouldn’t know how to pretend to be Sebastian Vettel. The solution is not more shiny objects – it lies in racing vehicles to which we can once more relate. I enjoyed Andrew Frankel’s Hesketh 308 track test in the June issue. I was fortunate to attend the non-championship races at Brands Hatch and Silverstone in 1974. It was fun to watch a renegade team such as Hesketh challenge the might of the establishment. I recall someone once called Hesketh the “fun and champers” team, but beneath that veneer was a serious operation. That International Trophy win truly launched Hunt’s F1 career and set the stage for his world championship in 1976. I was fortunate to be there and watch motor racing history being made. 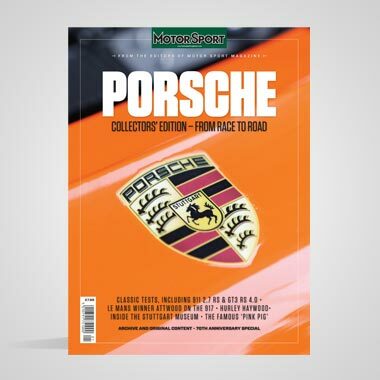 Just have to tell you good folks at MS that the July issue has taken me two air flights, two long train rides and one lunch break at Goodwood to read. It has to be the best issue ever; you refreshed my tired old brain with a recap of what’s taken me 50 years to read before. What a fantastic 90th anniversary issue you produced. 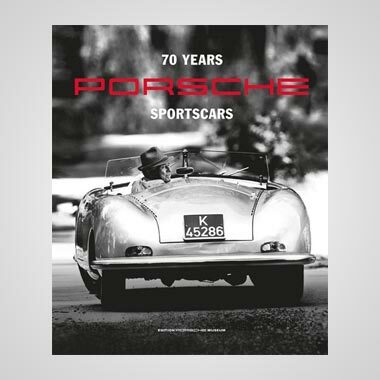 Having read Motor Sport since 1959, it really is still true to the spirit of its founders. I don’t always agree with your opinions, as with any good friend, but I respect them. I can now finally forgive you for the ‘red cover’ period. Having read your fascinating 90th Anniversary issue, I was very interested to read about the price increase of January 1940. I am sure it was good value, anyway! I feel I must take issue with Nigel Roebuck regarding his advice, in the July issue of Motor Sport, concerning the album The Exciting Sounds of Grand Prix, released in 1967. Should any reader be able to obtain a copy there is really no reason to have it transferred to CD, as Nigel suggests. Vinyl is still a perfectly acceptable and appropriate format for listening to such a recording and is enjoying a well-deserved revival at present, with sales doubling last year to the highest annual total in 15 years (helped by April’s excellent ‘Record Store Day’). Retrieve the turntable from the attic, Nigel, invest in a new stylus and enjoy the album as it was intended to be heard. Oh dear, Motor Sport – in the July issue you quite rightly say that the Alfa Romeo team cars entered for the Formula 1 race at Silverstone in 1950 had coloured nose bands to identify the individual cars, but you incorrectly state that Farina’s car had a white nose band and Fagioli’s a blue one. In fact the opposite was the case: Farina had a blue band and Fagioli white. Farina continued with a solid blue nose band through most of 1950, before changing to the blue and white checked band (more usually associated with him) for the remainder of his time with Alfa.